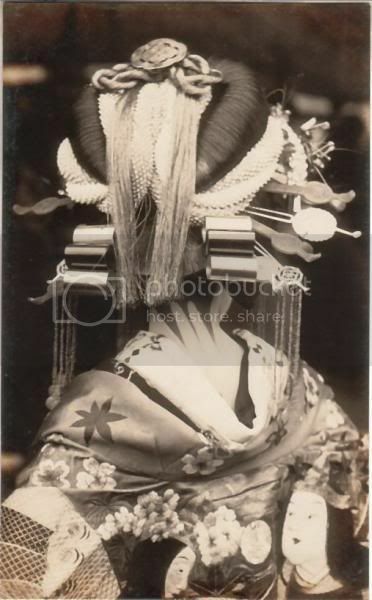 The eagle-eyed will recognize her uchikake from Tsukasa-tayu's website and the Tayu: Kamigata no Sekai book (it appears twice in the B/W photo section in back). 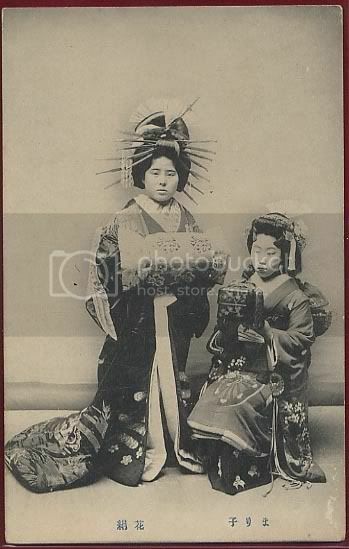 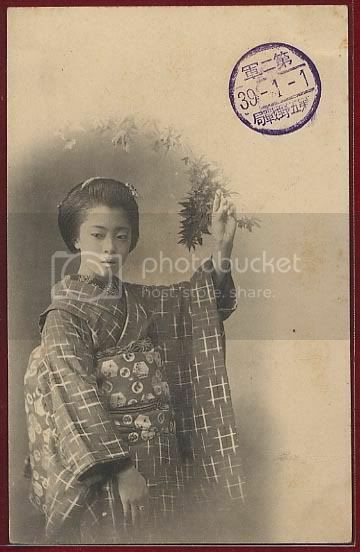 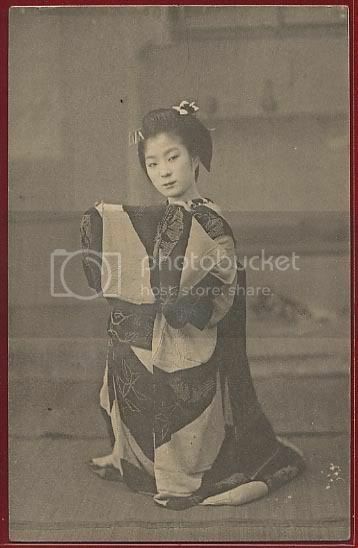 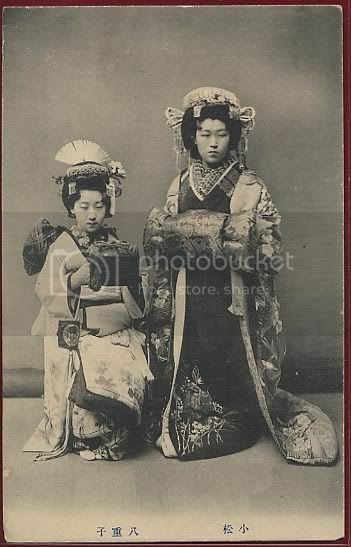 I realized what it was when I saw the phoenix obi because two different oiran are wearing it in a couple of my postcards. 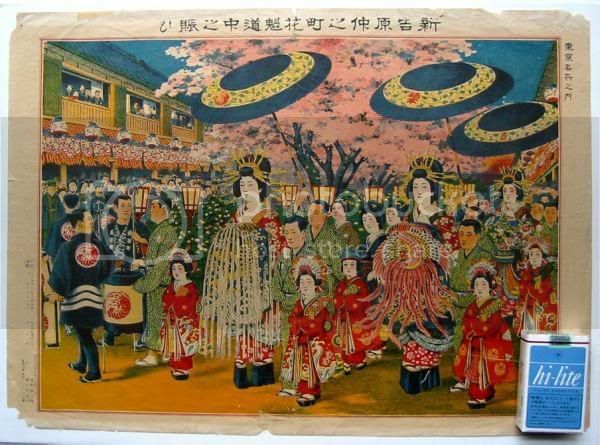 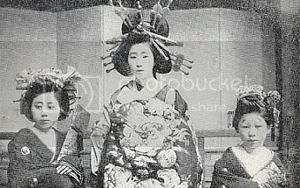 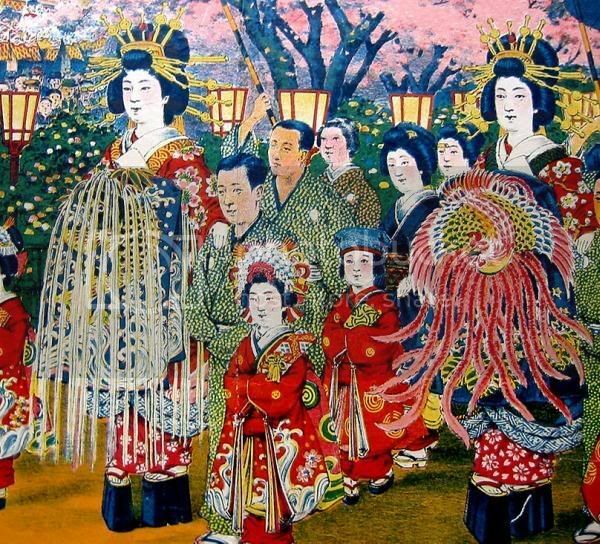 Some of the kamuro furisode and even some of the juban the oiran are wearing are the same.